You may have noticed a several month silence in this little corner of the internet. I attribute the unintentional break to a combination of all of my boys returning to school this past fall, a bit of baking/blogging burn out and, quite possibly, just a bit of general malaise. 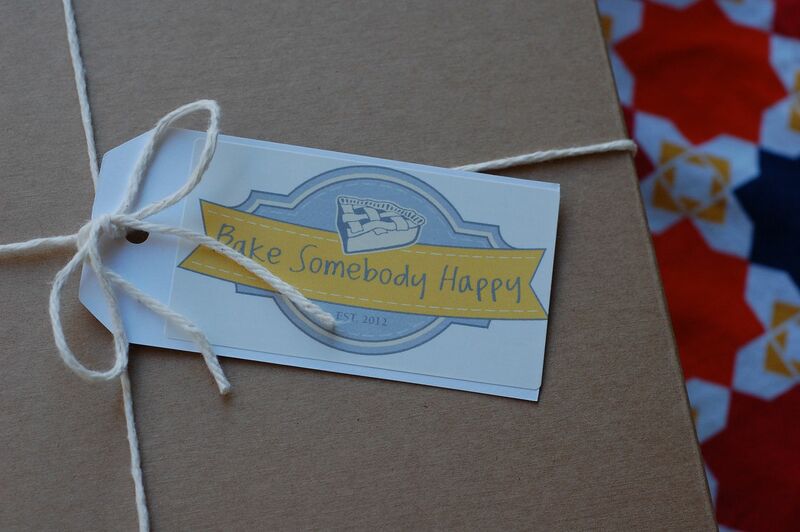 To be honest, I began to question whether Bake Somebody Happy had run it's course. With 46 pies lovingly made and distributed in just over two years, maybe it was time to close up shop. But then, as He so often does, God went ahead and inserted Himself. During a sermon this past October, our head pastor, Brad Franklin, spoke on the topic of allowing Jesus to use our gifts to surprise others. "Everything Jesus did surprised somebody! What if Jesus wanted his next surprise to come through you?...How would you surprise the people around you? What would He do through you? Look for redemptive moments with the people in your network and see what Jesus does. Maybe it will be surprising." As is my usual (albeit pitiful) response when God reaches out and grabs ahold of me, I questioned whether or not I had heard Him correctly. Fortunately (and not so subtly), my husband confirmed that God was in fact prompting me to return to baking. So I did the next natural thing - I began to negotiate with God, presenting all the reasons He surely should rethink this whole thing. And then, exactly one month later, I got an email from a virtual stranger - a friend of a family member - requesting of all things, a pie (or rather a cobbler). 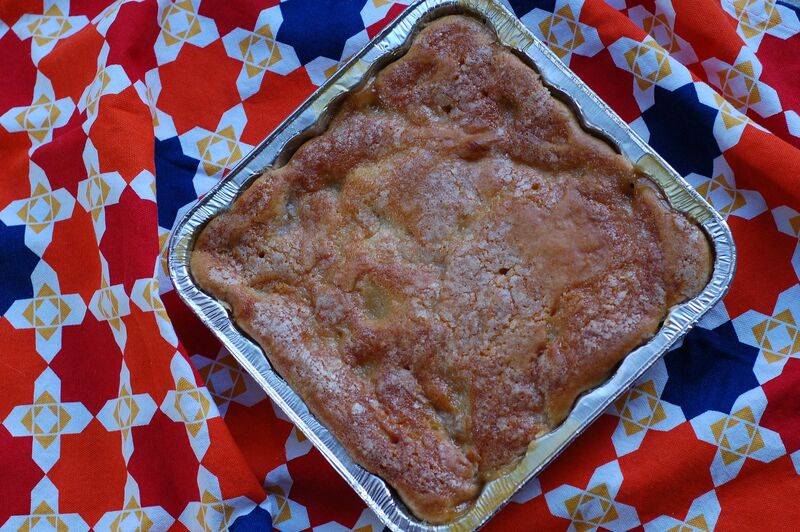 A simple peach cobbler for a dear friend - a young husband and father of three with twins on the way - dying of cancer. A cobbler for what may very well be his last Thanksgiving. Just when I thought maybe I had made my point, God went ahead and surprised me...again. 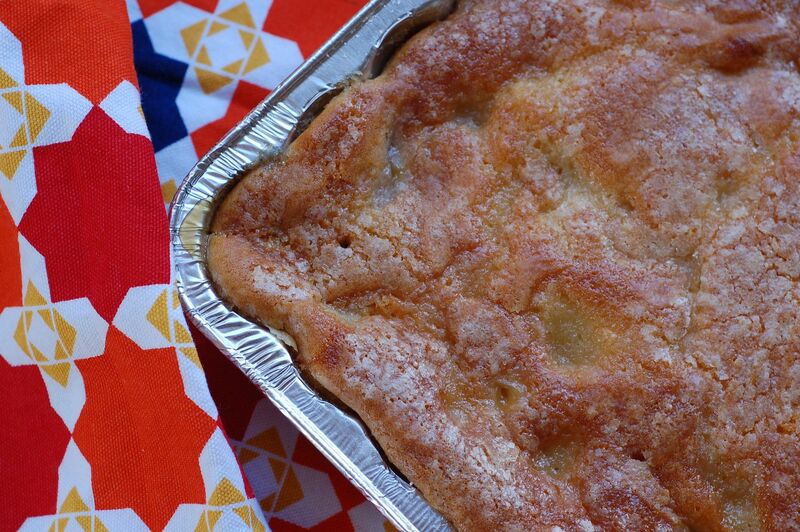 Three peach cobblers and several blind taste tests later, I had literally tied the bow on Bake Somebody Happy's first ever cobbler and renewed my heart for this humble pie blog. I pray that my first cobbler finds its recipient truly surprised and wrapped in the love of God, friends and family. I am so humbled and thankful to be part of fulfilling this simple Thanksgiving wish. Erin, You are truly a gift from God. The cobbler was perfect.